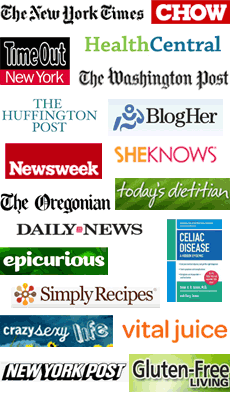 First of all, thank you for your interest in advertising on Celiac Chicks! Please send me an email (kelly at celiacchicks dot com) about your product/service/etc. and let’s get better acquainted. I usually come up with customized packages for the various types of businesses I work with. That said, you probably have amazing gluten-free products to share, but no one can benefit from what you’ve created unless they know about it. I’m always super excited to share the hottest scoop about gluten-free products with my large international audience. 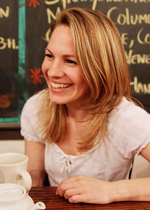 Connecting great gluten-free businesses with my gluten-free people and hearing about customers happy reactions while watching these businesses flourish and grow has brought me intense satisfaction for the last 13 years. As someone that has adhered to a gluten-free lifestyle for over 20 years, I personally want businesses that offer great gluten-free products to succeed. After a :30 minute consult, I will craft the copywriting and promotion as a regular advertorial blog post where I can feature your product with several photos and link to your homepage. Includes follow up fact checking and client approval. I will add the photo used in the blog post about your business to my Pinterest with a link back to blog post. Optional: A giveaway contest awarding a sample of your product to one of my subscribers can be promoted within the blog post. This is a great way to encourage people to engage with your social media channels or sign up for your emails. Under the “A Little Birdy Told Me…” blog post I can feature your product with a brief description, one photo provided by you, and a link to your homepage. Your information from the blog post will be sent out to my email list now consisting of 6000+ subscribers. I will feature your information from the blog post in it’s own column within the email titled “A Little Birdy Told Me….” I can even target my list geographically, since I have had people sign up and list their state or even country if outside of the U.S. I will share your photo and information to my 1000+ followers on Instagram and encourage them to visit the blog post. So, if you’d like to reach over 30,000+ of potential gluten-free customers with an introduction about your gluten-free business, I’d love to work with you! Let me promote you online to my audience and let’s give your business the push it needs to really fly! Please fill out the form below and let’s come up with a custom plan just for your business.